‘Vantha Rajavathaan Varuven’ is the Tamil remake of 2013 Telugu super hit movie ‘Attarintiki Daaredhi’ starring Simbu, Catherine Tresa & Megha Akash. It is a decent family fun entertainer with a clichéd story line. The year 2018 was a successful year for Simbu with a blockbuster hit film ‘Chekka Chivantha Vaanam’. Now, Simbu has joined hands with the commercial hit maker, director Sundar C to deliver the comedy action movie ‘Vantha Rajavathaan Varuven’, which is named after Simbu’s popular dialogue. ‘Vantha Rajavathaan Varuven’ is the Tamil remake of 2013 Telugu super hit movie ‘Attarintiki Daaredhi’. The movie revolves around Aditya (Simbu), who is the grandson of millionaire Raghunandan (Nassar) in Madrid. Raghunandan wants to reunite with his estranged daughter Nandhini (Ramya Krishnan), whom he had sent out of their home for marrying Prakash (Prabhu Ganesan) against his wishes. So Adhi, travels to India and becomes a driver Raja for Nandhini’s family. How Adhi convinces his aunt to forgive his granddad and reunite with her estranged family forms the storyline of the movie. ‘Vantha Rajavathaan Varuven’ is truly an old-fashioned movie. Most of the elements in the film dates back to the commercial melodramas of the 90s. 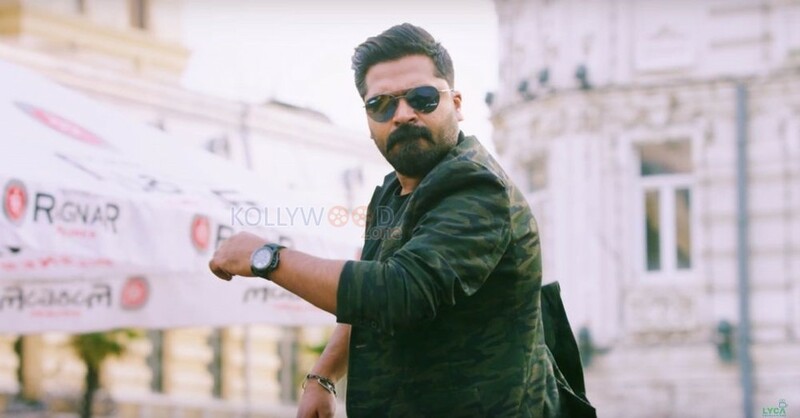 Simbu had a blast in the film with interesting mouth punches and generates laughs in the sequences with the comedians Robo Shankar and Yogi Babu. He looks ‘mass’ in action sequences, a fireball in songs and excels in a few emotional scenes. Ramya Krishnan looks authoritative in her role. There are two heroines in the film traditional Catherine Tresa and modern Megha Akash. Though Megha Akash’s part is limited, she has made her presence felt with her gorgeous and glamour looks. Catherine Tresa portrays the usual eye-candy to perfection. Veteran actors Nassar and Prabhu Ganesan are cast in minuscule roles, which is easy-peasy for them. The comedy duo Robo Shankar and Yogi Babu entertain audience with their comical antics and one-liners. Radha Ravi and Amit Tiwari play the stereotypical antagonist roles for the nth time. The rest of the cast including VTV Ganesh, Mahath, and Suman do not have much scope in the film. The first half of the movie goes at a good pace, with the engaging presence of Ramya Krishnan and Simbu. Though the film includes the usual family sentiments, fun sequences, and glamor scenes, there’s no dull moment throughout the movie. But, the second half lacks logic with the masala overdose, predictable pace, unwanted songs and a far-fetched climax. The background scores of Hip Hop Thamizha are loud and jarring and only the ‘Red Cardu’ song is a hit. Cinematographer Gopi Amarnath has made ‘Vandha Rajavathaan Varuven’ a colorful film with appealing visuals and the editing by Srikanth could have been crisp. On the whole, ‘Vandha Rajavathaan Varuven’ is a decent family fun entertainer with a clichéd story line.